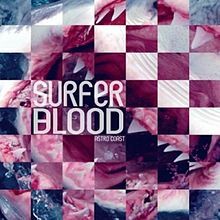 Surfer Blood – But Is It Any Good? OTHER SONGS YOU MAY KNOW: Maybe some on college radio. WHAT’S IT ALL ABOUT: A less noisy, more poppy effort that cut the distortion and let the songs come through. SOME WORDS, PHRASES AND CLAUSES ABOUT THIS RECORD: Their love of distortion was tempered on this, their major label debut, but that doesn’t mean it’s a lesser effort or that they sold out. Instead, they let the distortion be an accent and the melodies and hooks come through clearly. While some didn’t agree with this change, what it meant was a more accessible album for casual fans, while keeping the songwriting and feel (without a lot of cluttery noise). There’s still some guitar heft, and definite Pixies influence here. It’s a darn good modern pop record, and a fun listen. NOTES & MINUTIAE: John Paul Pitts had some legal troubles resulting from a domestic incident in 2012, and that delayed the record. GRADE: A-: It’s a nice, pleasant listen that you’ll be humming along to in no time. SOME WORDS, PHRASES AND CLAUSES ABOUT THIS RECORD: For me, this was a hard album to understand at first. I didn’t quite know what they were getting at, but it finally hit me that they WERE trying to be nostalgic and modern at the same time. Their ‘noise’ comes out only when they need it to, and their melodies can carry the day as well. The sound is heavy on the reverb, and some of that is because it was recorded and mixed in Pitts’ apartment. I hope his neighbors didn’t complain! There are worse ways to spend 40 minutes, and it’s good that some younger bands are embracing the guitar and mixing genres in interesting ways. NOTES & MINUTAE: “Swim” was recently featured on the Netflix show Daredevil. GRADE: B: Fans of fuzzy guitars should apply.